The Kiwi fruit also known as Chinese gooseberry is the national fruit of China. Kiwi fruit is the most nutrient-rich of the top 26 fruits consumed in the world today. Kiwifruit is an excellent source of vitamin C and vitamin K as well as copper and dietary fiber. It is also a good source of vitamin E, potassium, folate, and manganese. Here on these page we will see some of the useful health benefits of Kiwi fruit. Kiwifruit is one of the nature’s perfect foods: low in calories, high in energy and an excellent source of antioxidants. kiwifruit has fascinated researchers for its ability to protect DNA in the nucleus of human cells from oxygen-related damage. Researchers are not yet certain which compounds in kiwi give it this protective antioxidant capacity. 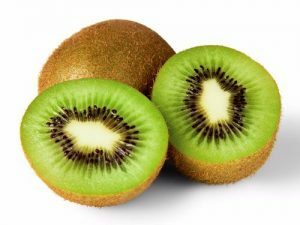 Kiwifruit seeds are an excellent source of omega-3 fatty acids and they may reduce the risk of coronary heart disease, stroke, and help prevent the development of ADHD, autism, and other developmental disorders in children. The health benefits of consuming kiwis include maintaining healthy skin tone reducing blood pressure and preventing heart disease and stroke. kiwi fruit consumption could significantly improve sleep quality in adults with sleep problems. Kiwifruit has been shown to contain an antimutagenic component, helping to prevent the mutations of genes that may initiate the cancer process. 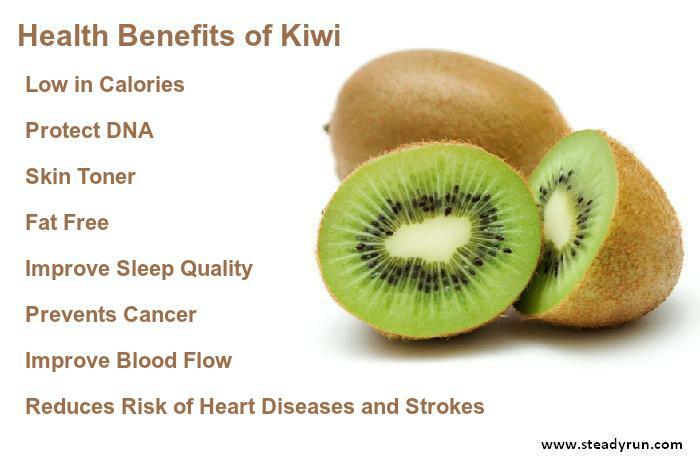 Health Benefits of Kiwi fruit in improvement of blood flow. It is particularly high in two amino acids: arginine and glutamate. Arginine may help promote an increase in arteriolar dilation, working as a vasodilator and improving blood flow which is very important for heart health.